Grew up with Aris Thessaloniki (Greece) juniors. Made his debut with Aris during the 2008-09 season. Signed for the 2015-16 season by Denver Nuggets. In January'16 back to Greece, signed by Olympiacos Piraeus. 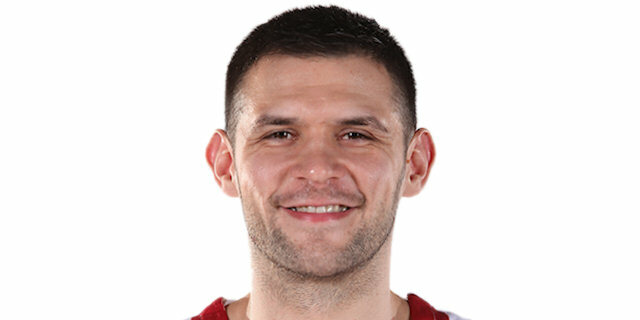 Named 2018-19 EuroLeague Round 17 MVP. Led the 2012-13 EuroLeague in 3-point shooting percentage (52.08 %). Won the 2011-12 and 2015-16 Greek National Championship with Olympiacos Piraeus. Won the 2010 and 2011 Greek National Cup with Olympiacos Piraues. Has been member of the Greek U-18, U-19 and U-20 National Team. Led the 2009 European U-20 Championship in blocking shots (1.9 bspg. ).